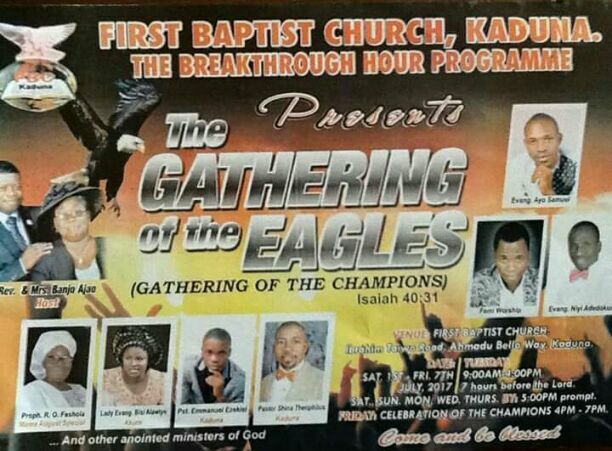 FIRST BAPTIST CHURCH, KADUNA, NORTHWEST NIGERIA PRESENTS A 7-DAY POWER PACKED SPIRITUAL CLEANSING TAGGED ‘GATHERING OF CHAMPIONS’ BETWEEN 1-7 JULY 2017 AT THE CHURCH’S AUDITORIUM. BE THERE!! !